The Rev. 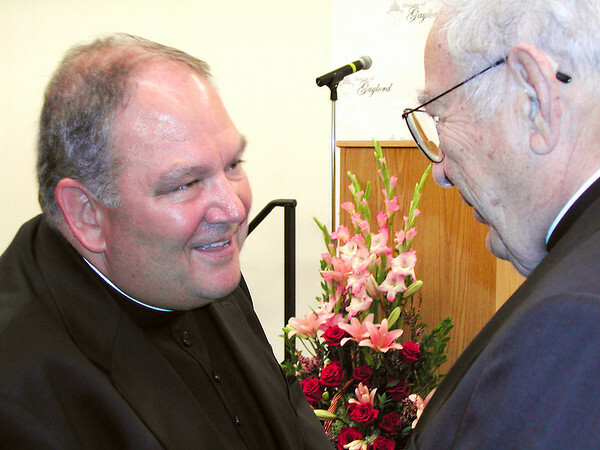 Monsignor Bernard Hebda meets with the Rev. Edwin Thome, priest at St. Joseph Catholic Church on Old Mission Peninsula. Hebda is the new bishop-elect for the Roman Catholic Diocese of Gaylord.